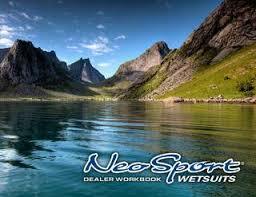 Henderson is proud to introduce the Aqua Loc® wetsuit system. 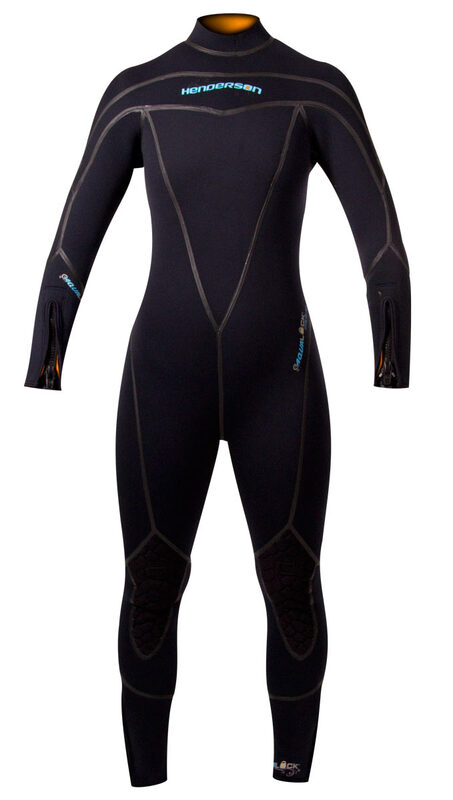 This revolutionary wetsuit system design is the first of its kind to offer interlocking wetsuit wrist, ankles and neck openings which are designed specifically to mate with interlocking Aqua Loc® hoods, boots and gloves to form a nearly impenetrable seal which minimizes cold water entry into the Aqua Loc® ensemble. The Aqua Loc® System begins with the core jumpsuit. 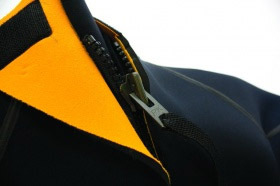 One of the most notable visual feature on the suit is the Liquid tape Aqua Loc® seams. Every seam on the suits is first double glued and blind stitched inside and out. 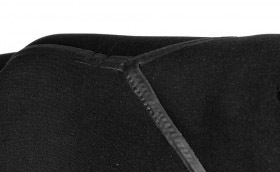 Then the outer seam is coated with a special waterproof Aqua Loc® liquid tape barrier which seals the seam from water entry and also helps protect the stitching from damage and unraveling. The 5mm and 7mm core jumpsuits offer special Aqua Loc® wrist and ankle cuffs which have been designed to mate with specially designed Aqua Loc® Boots, Gloves and Hood. 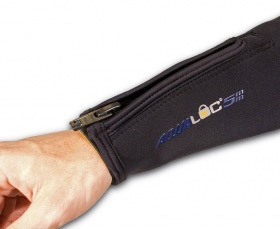 The Aqua Loc® cuffs feature a soft and ultra stretchy Skin neoprene inner lining which mates to specially designed silicone seals inside the boots and gloves. (see Boot and Glove detail below) 3mm Suits also mate with Aqua Loc® accessories but the double locking wrist and ankles have been removed since they are not required in warmer water temps where 3mm suits are commonly utilized. The interior of all the core jumpsuits are lined with a Golden micro fleece lining which dries quickly and feels luxurious against the skin. 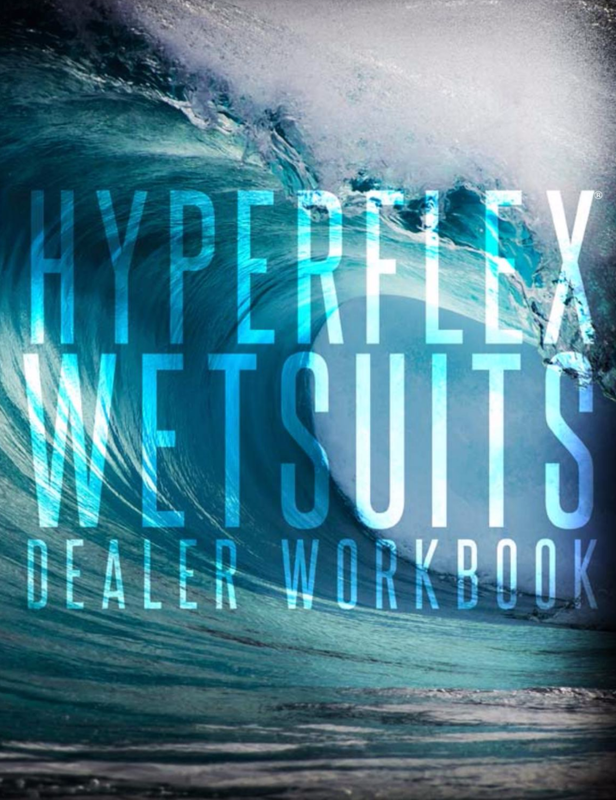 The Aqua Loc® suit exterior features Henderson’s renowned Aquasilk laminate which is also utilized in Henderson’s flagship H2 wetsuit series. Rear zipper entry assures easy use while the PK G-lock water resistant zipper eliminates unpleasant cold water exchange in the spine and lumbar area. Soft, flexible and extremely durable Duratex knee pads complete the package. 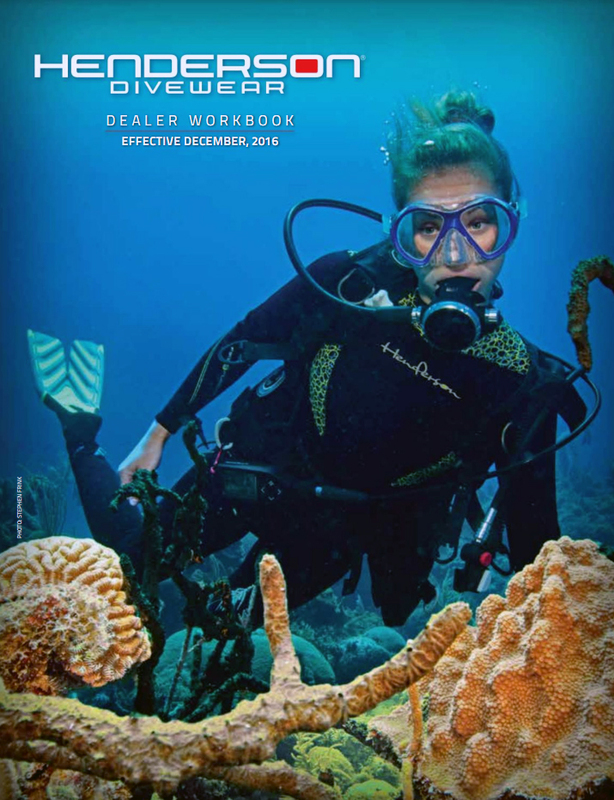 Henderson’s new Aqua Loc® wetsuit system will certainly be a first choice by Divers who demand warmth, performance and comfort on all their dive adventures.